The spectacular concert by David Foster and his famous friends finds the songwriter and hit producer gathering together the best tracks from his bottomless well of hits and inviting some talented folks to come along and help perform them. Not only are the songs magical, the performances are just as enchanting, including appearances from Boyz II Men, Natalie Cole, Ruben Studdard, Peter Cetera and Katherine Jenkins. Spotlighting #1 hits, award-winning songs, and other favorites – all but one originally penned and/or produced by the Hit Man Foster himself. This is an example of the FULL FORMAT with band, audio visual etc. 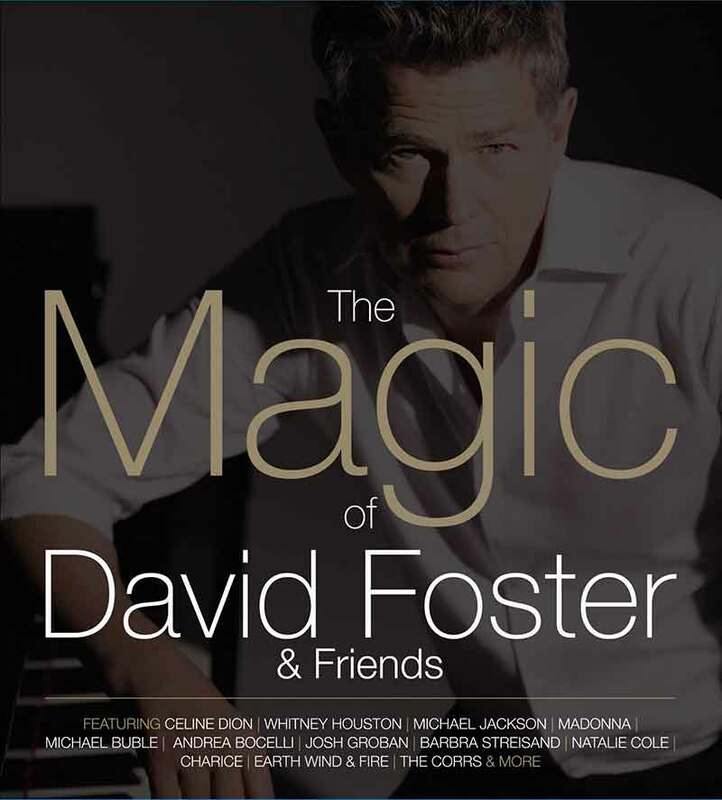 David Foster & Friends are open to adding more corporate dates & sponsorships.